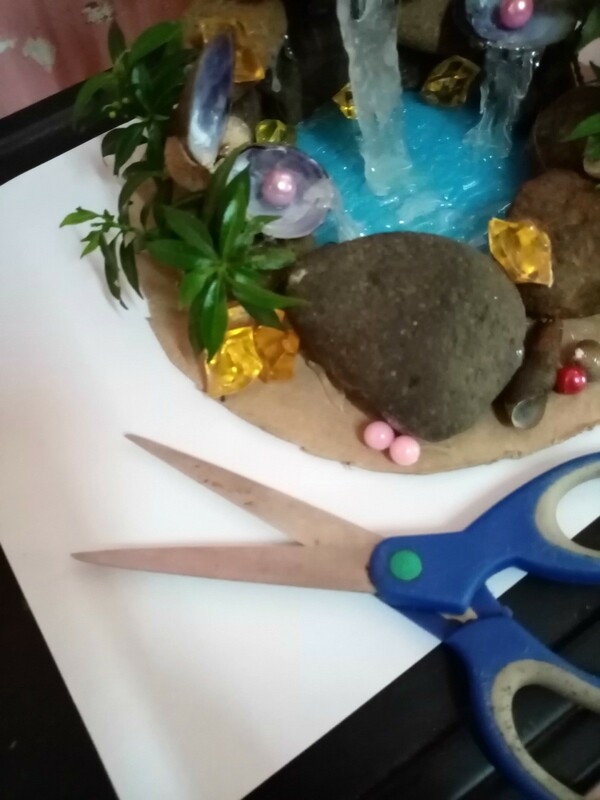 Using rocks, pebbles and sand, along with pearls, artificial plants and transparent tape you can create a fun waterfall scene for inside your home. 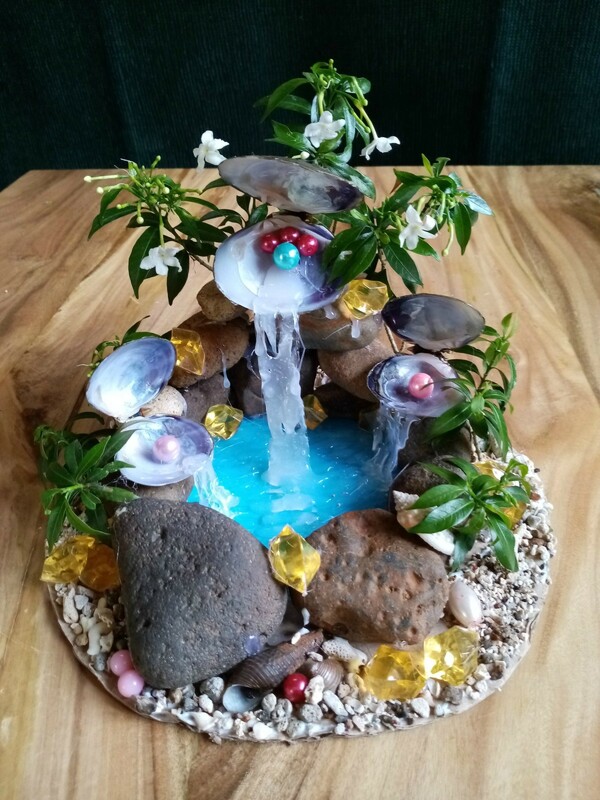 This is a guide about making a pearl and shell waterfall centerpiece. I brought my love for nature into my living room since our summer season will be going really busy. 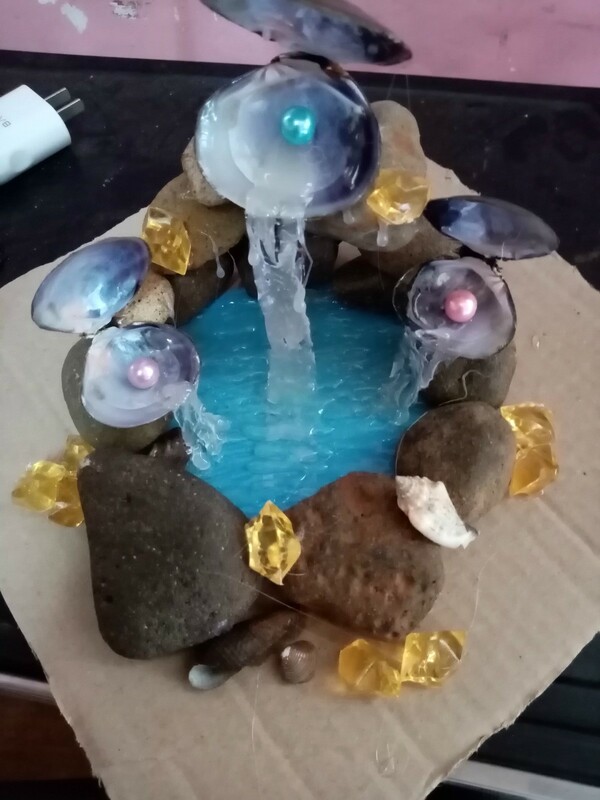 I just imagined myself going to this pearly wonderful waterfall while making this craft. 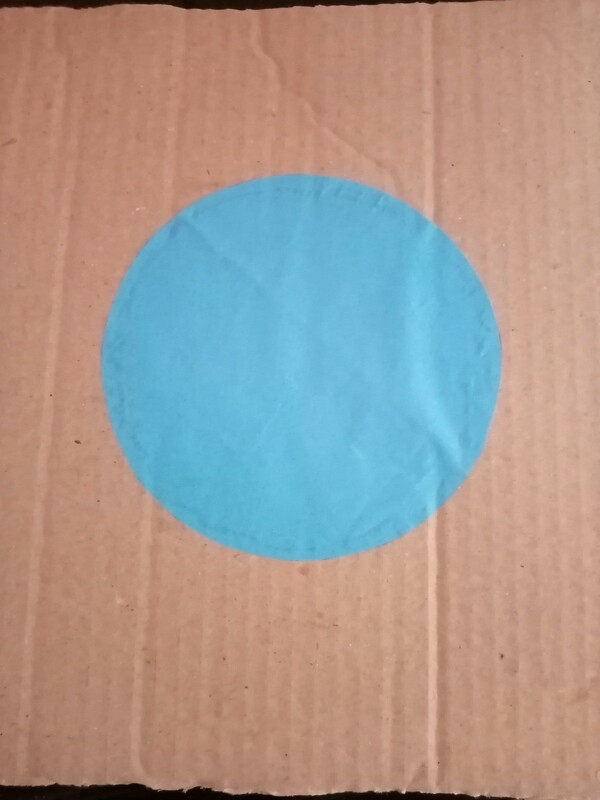 Trace a circular shape onto the blue paper and cut this out. Make it any size you want. 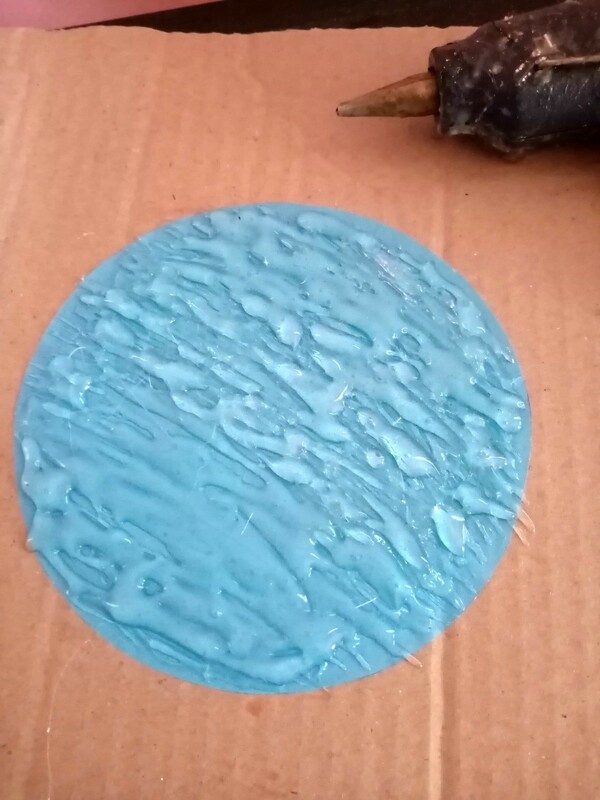 Glue it onto the center of the cardboard. 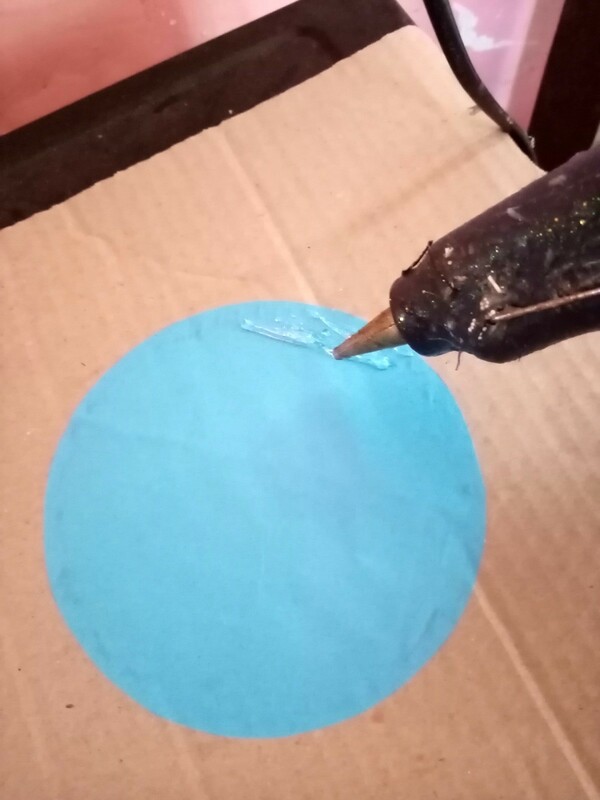 Cover the whole blue circle with hot glue. 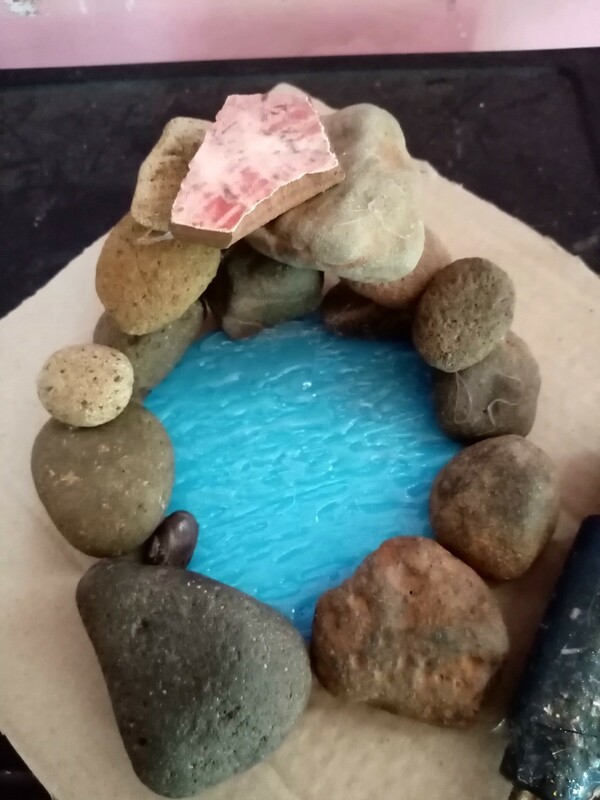 Pile up several stones on one side and glue in place. 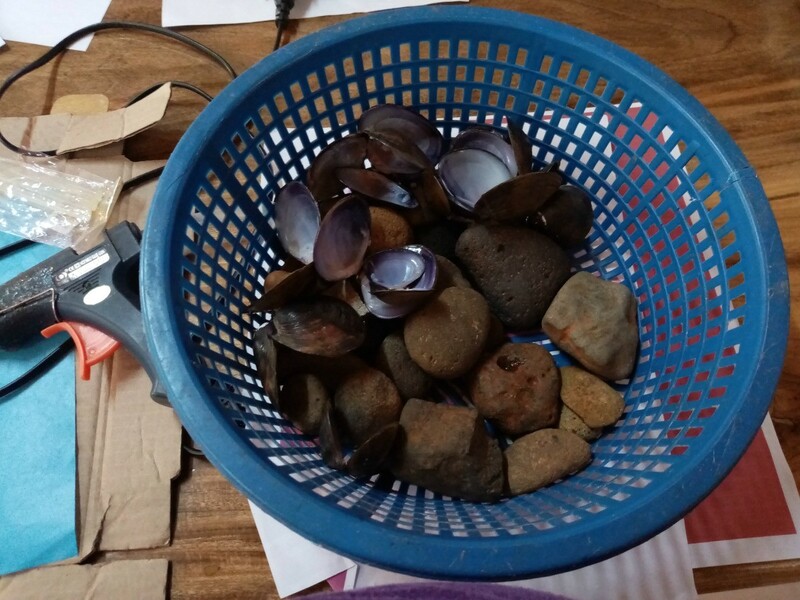 Take a shell and glue it on the top portion. 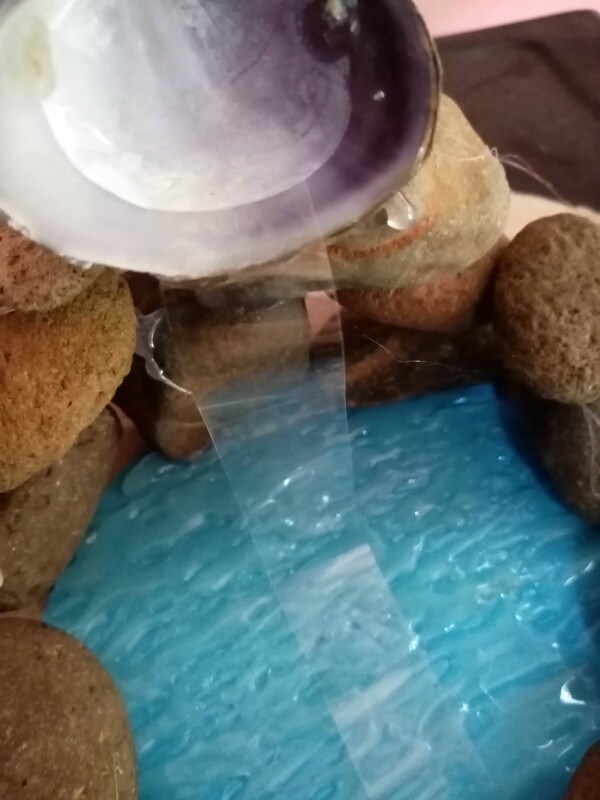 Now, cut transparent tape following the length from the shell down to the base (blue circle covered with hot glue). 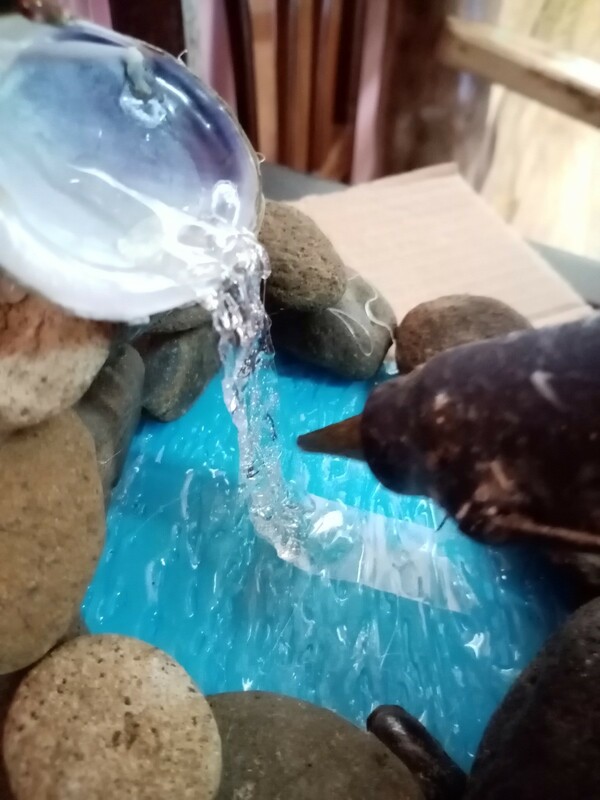 Fill the tape with melting hot glue, let it drip from the shell down to the base to make it look like a flowing water. 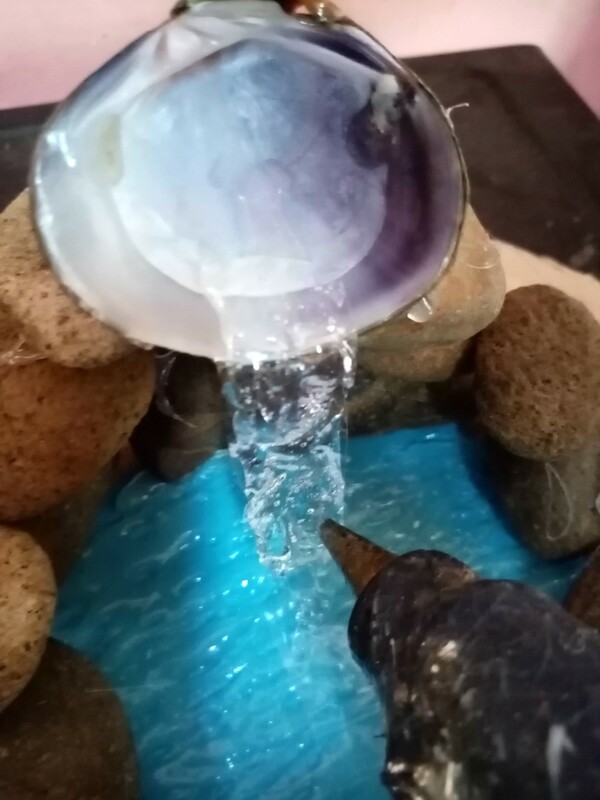 You can add another shells on the sides if you want, but that's optional. 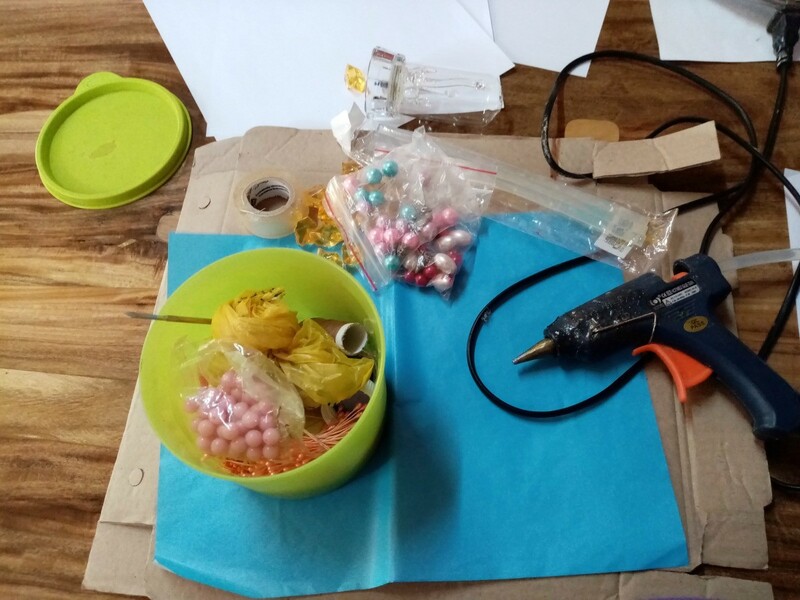 Put pearls inside the shells and decorate the whole thing with gems, pearls, and shells. 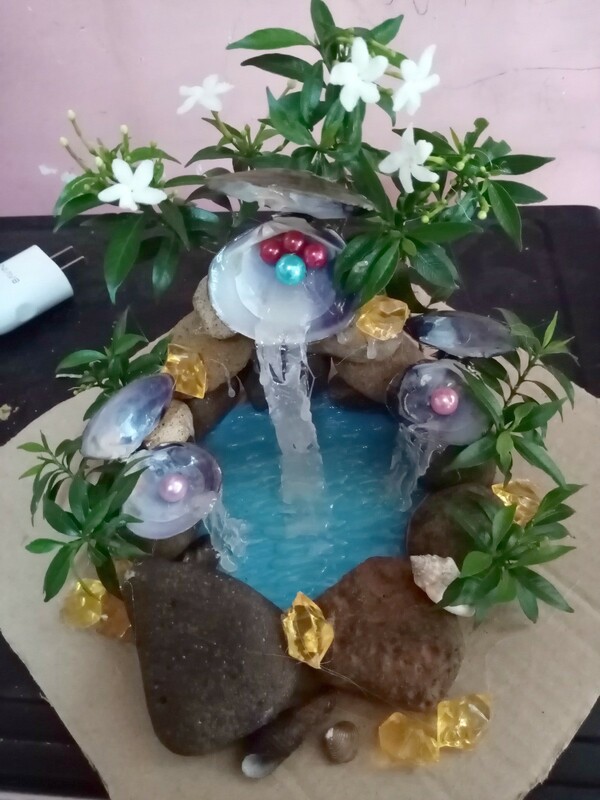 Then add the artificial plants and flowers. 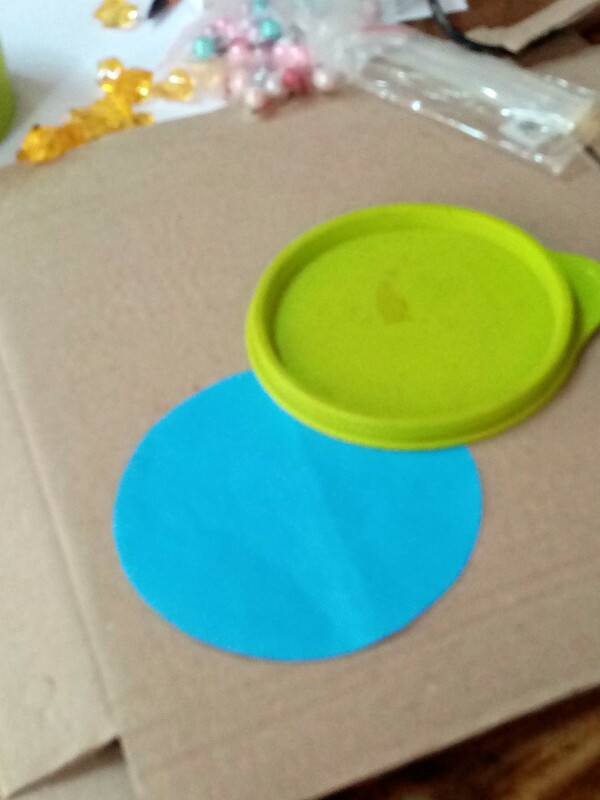 Next, cut off the excess cardboard around the outer edge of the base. 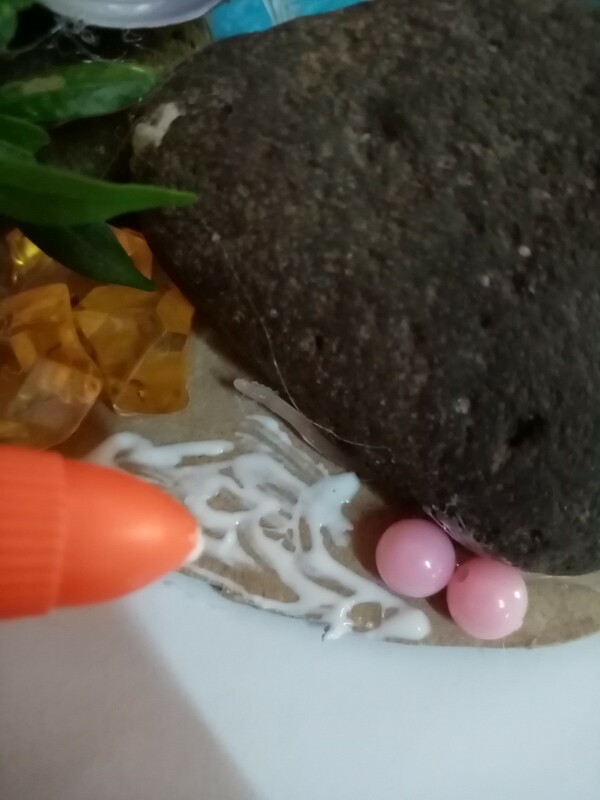 As you can see there are spaces in between and outside the stones, apply white glue all over these areas. 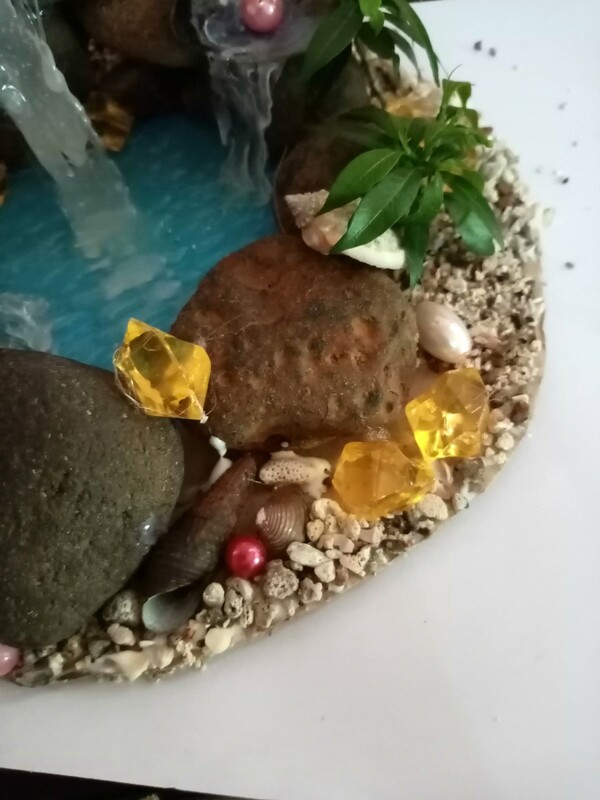 Cover with pebbles or sand. 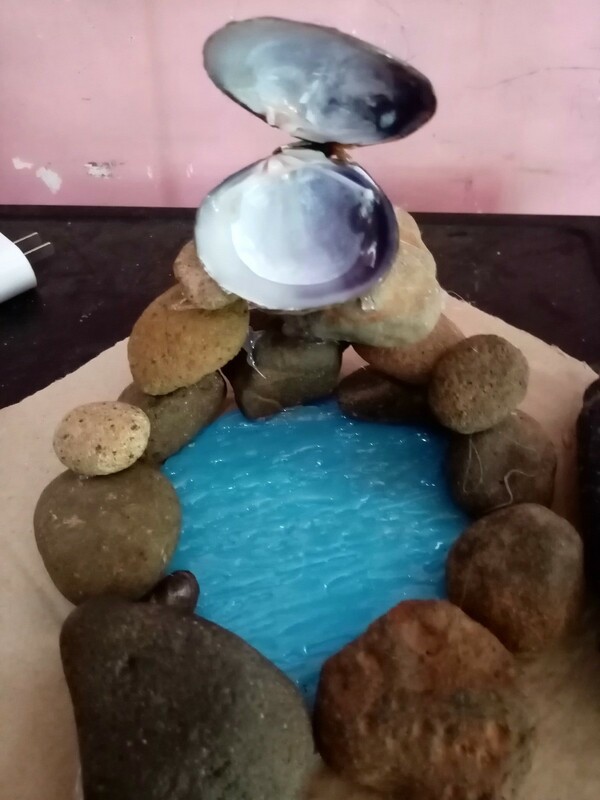 Place this in the center of your table. Wow! I was wondering how you were doing the water. It looks so real. Hi littergitter I myself is even amazed by this craft see how it's done in step 8. 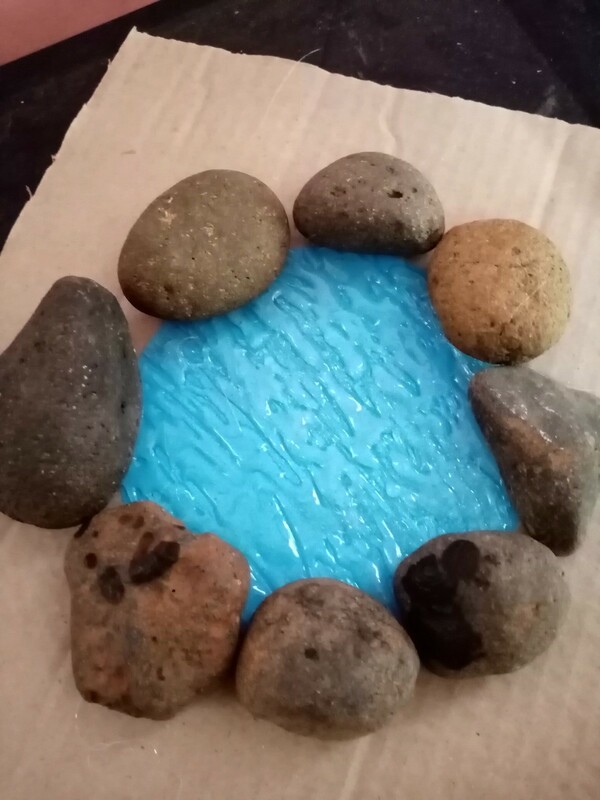 It's made of melting hot glue.